One of the 3 small montane rattlesnakes of Southern Arizona, the Twinspot is another rock dweller and can be found at some of the highest elevations in Southern Arizona. 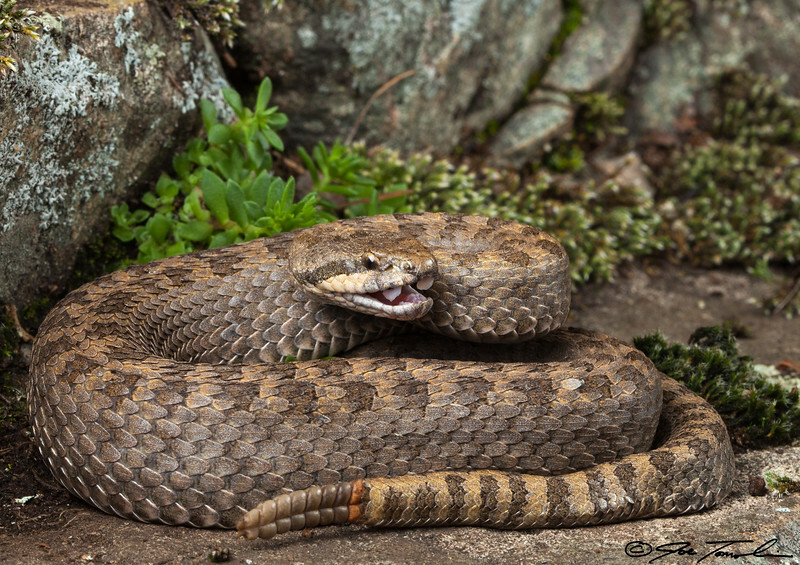 This rattlesnake is named for the paired dorsal spots covering the entire length of the snake. In this image I was lucky enough to capture this basking snake "mid-yawn" where the sheathed front fangs are clearly visible.